The best lead-generation plugin for WordPress! Manage All Your WordPress Sites From One Dashboard! Heil PR-40: This is the microphone I use for all of my screencasts. Zoom H4n: Excellent digital recorder I use for all recordings. WordPress: The world's most popular publishing platform! All of my sites use WordPress. WordPress has the largest community and available add ons than any other software online. ThemeForest:Themes for every style. I highly recommend and use the ThemeBlvd Theme. Thesis Theme:From business websites to personal blogs an all around solid theme. Ninja Forms: Free powerful custom form generator. OptinMonster: Get more email subscribers now! LastPass: Never remember another password. 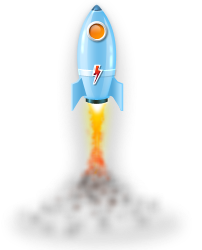 Page Speed: This a plugin by Google that is perfect for finding bottlenecks on your site. PageRank: Handy little free PageRank checker and other metrics. iStockPhoto: Explore millions of high quality stock photos. Most items on this site are from iStockPhoto. Webtreats: High quality free images for personal and commercial use. SSLPIC: Free SSL image hosting. Perfect for branding your e-commerce. Videohive: Royalty free video files from $1. I use this service all the time. Pond5: The world's stock media marketplace. I have found very unique clips here. Camtasia Studio: Screen recording software, I have used to program for almost all my videos. SnagIt: Screen capture and so much more. I love to use this for fast prototyping. PhraseExpander (PC): Get rid of repetitive typing on your PC. TextExpander (MAC): Get rid of repetitive typing on your MAC. Dragon: Dragon Naturally Speaking has save me hundreds of hours. WordPress Duplicator: Backup and move your site for one location to another. Adobe Creative Cloud: New tools for the New Creatives. Bootstrap: The most popular front-end framework for developing responsive projects on the web. WebFonts: Web fonts are more beautiful, readable and open. Stop using images! Use Web Fonts! HostMonster: I use host monster on about half of my sites. They work quite well. In Motion: Everything you need to get online. WP Engine: WordPress hosting is all they do. Servint: Great for dedicated hosting, from personal experience. GoDaddy: Get Yours Today! World's Largest Domain Registrar. I have tried many registrars and I keep coming back to GoDaddy. While I don’t recommend them for hosting, they do have very good tools all around for domain name management. MaxCDN: MaxCDN hosts your images to supercharge your site. I have used this service and it works great! FreshBooks: Accounting made for the Non-Accountant. Hesk: Free help desk software. FreshDesk: Super-user friendly helpdesk system that's FREE forever! E-Junkie: Helping you sell online, super easy tools. 99 Designs: Get custom design work that fits your style. CrowdSpring:The World's #1 marketplace for logos, graphics and names. Google Analytics: By far the best free analytics system in the world. 4 Hour Workweek: The book that started it all. Rich Dad: What you were not taught growing up. Kissmetrics: A blog about analytics, marketing and testing. BulletproofExec: Supercharge Your Body. Upgrade Your Brain. Be Bulletproof. Mr. Money Mustache: Retire in 10-12 years or earlier by living smart. This is an on-going list of resources designed to accelerate your business. Check back regularly as we will be continually adding items to the site. If you have a tool or service that has changed your business, let us know! Some links provided on this page are associated with an affiliate program by which LifeInTheGrid will receive a commission for recommending the service. Websites that look good and work well are powered by tools and products that help you rapidly achieve your goals. A highly functional and eloquently looking site will help you keep your audience’s attention longer, help you get found by the search engines, and even help your bottom line! Below is a growing list of resources I use to enhance my websites, my businesses and even my personal growth. After spending over 20 years building hundreds of applications and sites, I have seen what works well and what doesn't work so well. Please use this resource list to empower, enhance and accelerate your sites. I recommend bookmarking it for your reference and convenience. Please Enjoy! And as always; work smarter, not harder! Disclosure: Please note that some of the links below are affiliate links, and at no additional cost to you. On some links I do earn a small commission if you decide to make a purchase. Please understand that I recommend these products and services because they are in my opinion very helpful and useful. Please do not purchase any of these products unless you feel they will help you achieve your goals.